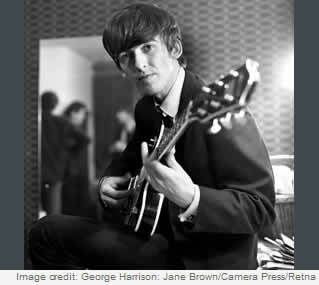 Plays great guitar, writes beautiful songs, and brought plenty of different influences into the Beatles. While in the studio, it was usually either Paul songs or John songs, but George Harrison's parts created the illusion of a unified group. Join in and write your own page! It's easy to do. How? Simply click here to return to Guitar Heroes.